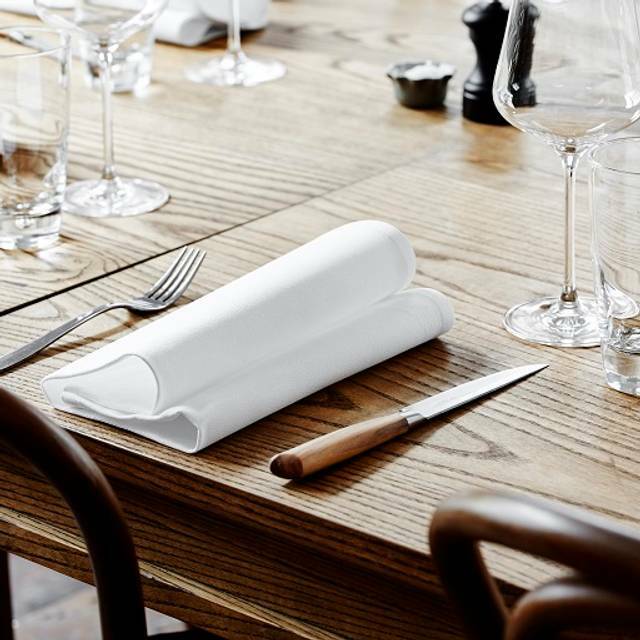 Saloon open Monday-Friday for restaurant bookings 12noon-10pm. 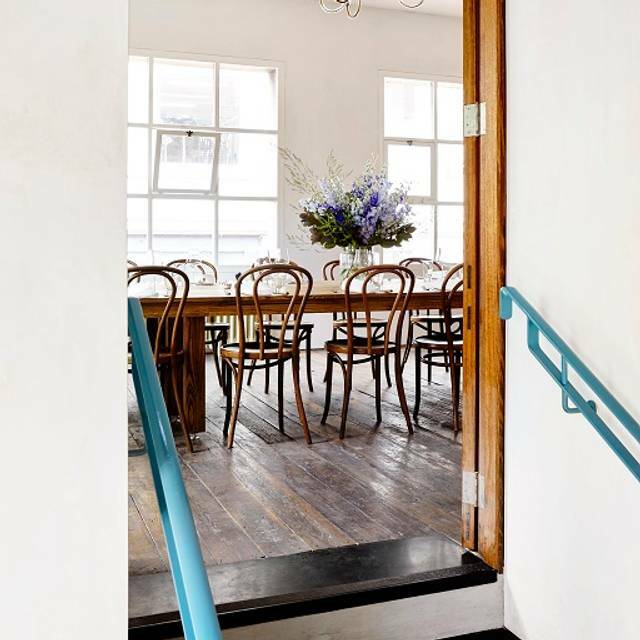 Climb the narrow flight of stairs up from the red brick lane to enter the saloon. A room that is at once spacious, open and rambling, one side lined by a wall of windows, the other a splendid bar of long fluted zinc; counterpoint to the perfectly proportioned, intimate beauty of its little brother downstairs. Spanning the late 1800’s and early 1900’s, French Saloon borrows from the decadence and familiarity of the Parisian bar & bistro, while finding common ground with the enjoyment of raucous company and a sense of mischief. 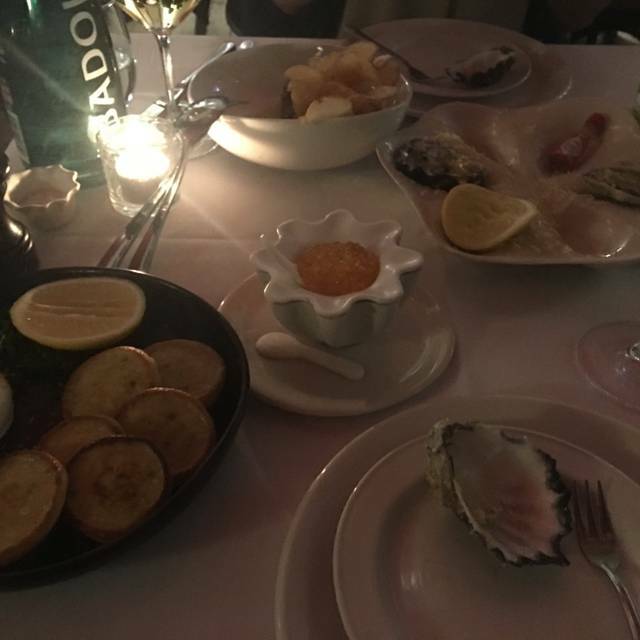 Start with Champagne and caviar at the bar, progress with steak tartare and bottles of Burgundy. A dining room to some, a bar for well-made cocktails and snacks for others – above all, a room for good fun and a party. Nothing special and a bottle of the sparkling water was more than $10 which doesn't taste authentic. Make sure you ask the bottle with the cap sealed to be delivered to your table and open it by yourself. Our waitress was happy, friendly and very knowledgeable. She recommended a special and it was amazing! Very enjoyable experience and amazing food! We will definitely be back next trip. A little gem that’s easy to miss if looking for it from the street. The food was superb - I can’t think of one dish that was a let down - and came with great service too. It’s not your usual tightly packed French bistrô, it’s spacious and not noisy, so easy to have a conversation without having to shout. Fantastic entrees and starters, a small but beautifully prepared set of mains - the roast chicken was beautifully moist and moorish - and you finish with fantastic desserts. The tasting menu for $70 per person is great value, and you get to try quite s few dishes with it, including the lovely petit fours at the end. Make sure to leave some space for the salted caramel madeleine. I recommend the place highly. We opted for four course and matching wines. Wonderful amount of food, gorgeous interesting wine choices. A couple of staff appeared quite bored but it was a quiet night. Great service delivery and efficiency. I would have liked food to be presented a little slower if on a weekend as each course was presented directly after the one before with no break which is needed for a four course dine. Went to French Saloon for my partner's birthday dinner and had a wonderful time. The food was delicious and the service was excellent. Lovely atmosphere. Music was at perfect level, suited the restaurant. If you have Steak Frites, make sure you ask how you want it cooked as it comes out Medium/Rare. Lovely Salad and great Fries. Service lacked somewhat as we had to get attention of wait-staff on several occasions. Was a bit disappointed with the value, service and noise levels. The steak frites and roquefort sauce was just too strongly flavoured for me, and the $19 glass of pinot noir not that amazing. The waitress didn't suggest to our friends that they should have ordered a side dish. A bit pricey for what it was. I like the layout and style of the restaurant but way too noisy (we were there on a Tuesday night). I havent planned to return or recommend this place unfortunately. French Saloon never fails to deliver. 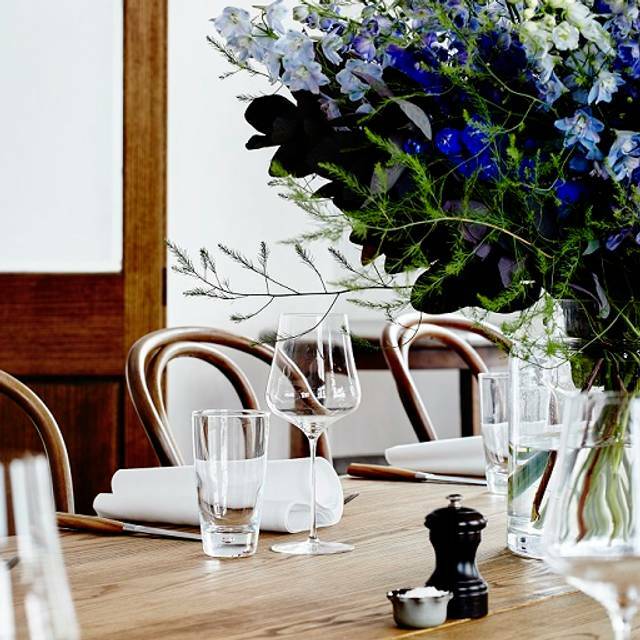 Incredible produce cooked beautifully every single time, lovely friendly service and a relaxed, light and bright European atmosphere nestled into the hustle and bustle of the CBD. Great restaurant. 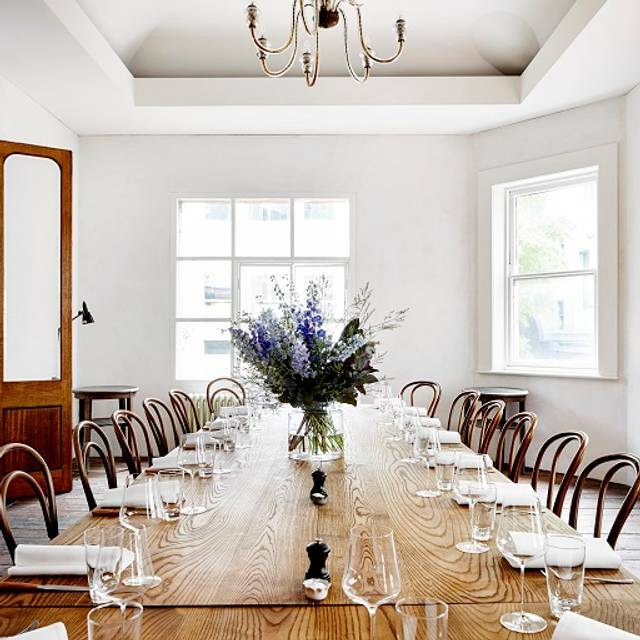 The layout is particularly fantastic as the tables are evenly spaced and the food was delicious. We had a fab lunch and loved every second. Can’t wait to come again with a little more time to enjoy everything! The food is always excellent, the service always professional. I never feel cramped & I can hear my fellow diners - one of my favourites! The French Saloon has some appealing features. The food is good, prepared by a technically competent kitchen. The light-filled dining room is a pleasure to be in, but the noise can be a problem if large groups are also in the room. The let down -- but note this is a widespread problem in Melbourne -- comes with thimble-sized serves of wine at hefty prices. 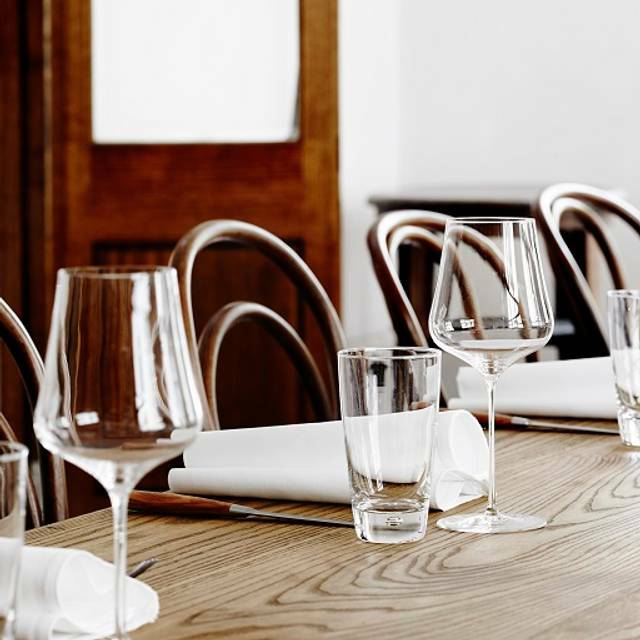 It is no longer worth buying wine by the glass in Melbourne restaurants anymore. Restauranters are a bit dim on the wine front. Australia is a wine lake, full of excellent wines at very good prices. At home drinking has never been better. It is ridiculous to pay for a glass of wine, when the same sum can buy a whole bottle of quality wine from the Clare or Barossa valleys. Just ok food and wine, especially for the price. Beautiful food, nice ambiance, hidden gem! Oysters were delicious as well as the trout. 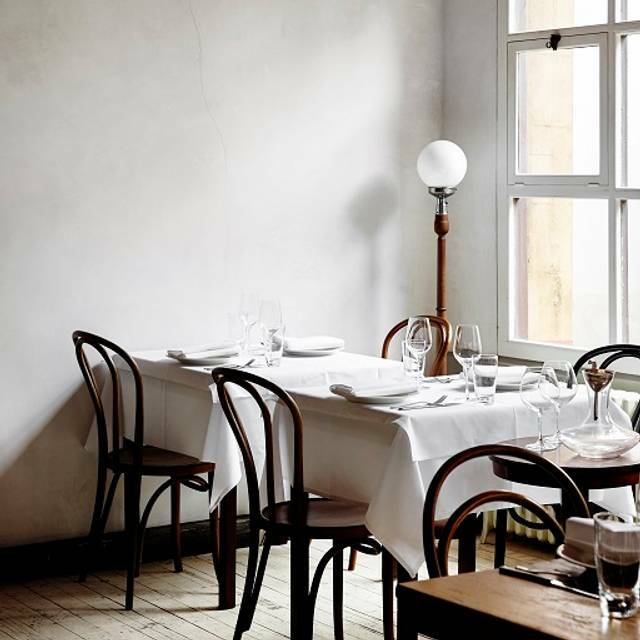 Love this place, one of the nicest restaurant spaces in Melbourne with food to match. 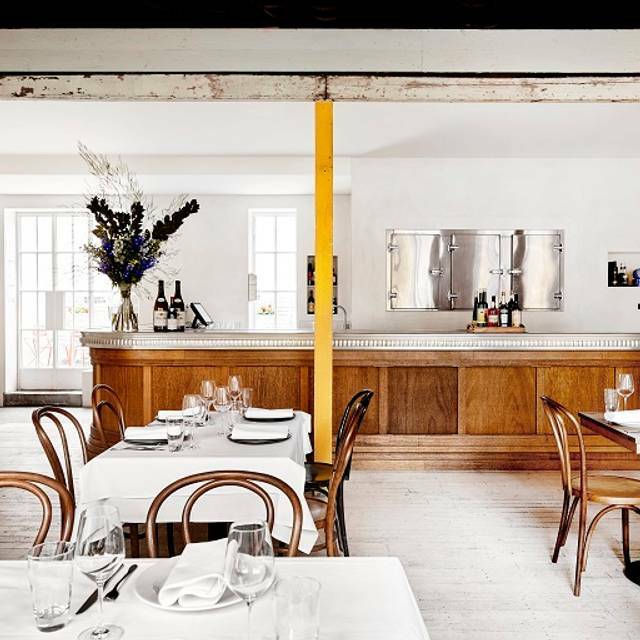 Forget about the other better known French restaurants in Melbourne, this is the number 1. Fantastic steak tartare but the service was only ok, not that welcoming and it would have been nice to be offered a complimentary glass of champagne when a bottle of champagne was dropped on the floor and consequently soaked us!! Our second visit to French Saloon - and I would still recommend it again. The ambience was great but the food and service didn’t match the perfect experience I had on the first visit. Granted it was a busy Friday night before Christmas, and my last visit was on a much quieter Wednesday night in October. The service fell short in two areas. Our waiter, although pleasant and capable, wasn’t completely switched on and didn’t give the same charming and engaging service I had on the previous visit in October. 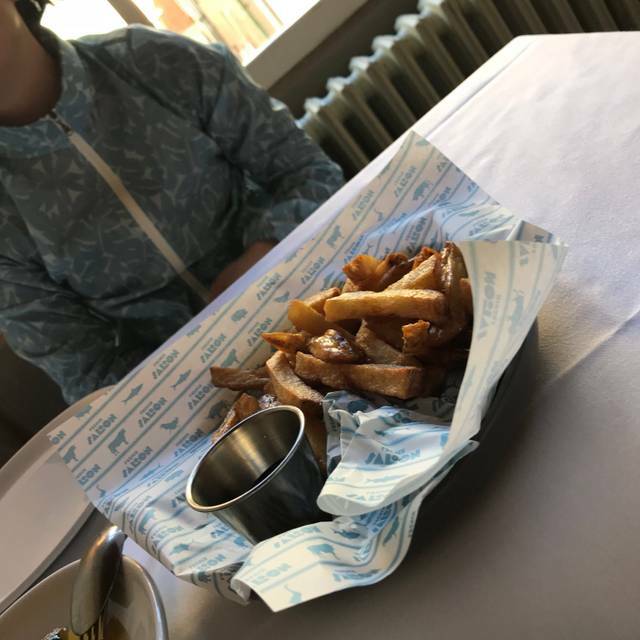 We were served by multiple waiters (probably because our guests were flagging down anyone they could for service) however the communication between staff was not up to speed and we had waiters ask repeat questions. We arrived with bags, umbrellas and jackets - all of which we had to ask for the maître D to take. When we got up to leave (after paying) we had to get our own jackets, bags and umbrellas - which required disturbing other guests to squeeze past to the area they were stored. This felt slightly embarrassing and we felt a little neglected on departure. The food was next to perfect. My only disappointment was the Burrata dish wasn’t as creamy as last time. Was it served too cold? It didn’t ooze out everywhere when opened. Overall it was a fabulous experience though next time we will pick a quieter evening and hope the food and service return to the standard we received in October. Open Table messed up and I was assigned a table that did not exist. They squeezed me in but I had to eat rapidly in order to free up the table since my reservation was not good. They were very apologetic and the food was excellent but I did not get value for money since I was rushed. They gave me a free drink. On a hot Friday it was delightful to enter the high ceilings of the French Saloon. While the ceiling fans moved the air I was immediately given water and a thirst quenching aperitif was suggested. Entree and main course were lovely and beautifully presented. I thought the dessert of strawberries and cream was not worth the money. Attentive and knowledgeable staff and a great wine list. Delicious food . Fantastic personalised service. The only downer was the acoustics of the resturant . It’s too noisy. Hard to have conversations without yelling across the table . Great restaurant, have been here 5 times in the last 18 months. For both client lunches/dinners and more recently for a date night. Everything is exceptional about this place, the food is to die for and the menu constantly changes. Every time I've not bothered to choose my own food, as the wait staff are skilled at selecting on your behalf if you just want to soak it all in. The only 'downside' is the noise level, which can get a little overwhelming when it's full (most of the time). But aside from that I absolutely love this place. A beautiful space - ambient - french music - beautiful flowers - excellent service - delicious food and wine! The room is light and comfortable with a stunning long bar imported from Paris, omnipresent staff and a calm minimal chic. My rock oysters were delightful, the ceviche beautiful and a little progressive. But there's a reason Steak Frites is a classic and here you will rediscover why. This was a simple dish superbly cooked and in its somewhat humble understated presentation nearing bistro perfection. A special comment about the quality of staff here and superb caviar and cheese menus I was not prepared to explore fully without company (which I will return soon to do). full. I would come back if I lived in town. A great meal here again. The wine list is fantastic (and fairly priced). We shares a couple of entrees and the special John Dory, all of which were beautifully fresh and tasty. Menu is in French with no description in English..menu is rather misleading. Expensive for the value of food. Excellent food and great selection of wine. Staff were professional and very knowledgeable about wine! Great ambience, wine list, entre and desert so no complaints really. I probably didn't choose the best option for main for my palate. Need to sample again to firm up my view of the food. Lovely luncheon enjoyed the food, the service and will happily return.